Discussion in 'Demonbuddy Support' started by SGB, Mar 27, 2019. 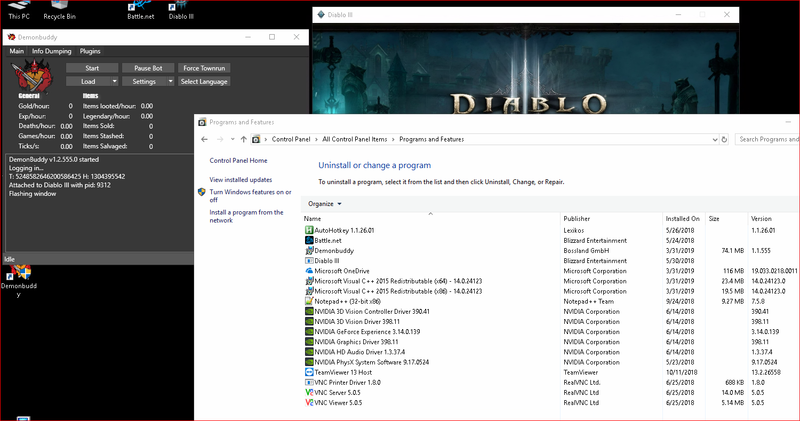 I installed, ran 32bit D3 and then it says flashing window and hangs. The machine has .net4. I'm also looking for a guide to set this thing up to do 3 man rats. make sure your OS its updated,whats your OS? WIn 10 Enterprise 64, it's fully up to date. D3 up to date. ROS runs fine. It's still not working, please help.